Jardme have Jewelry factory and Scarves factory! So our advantage is best quality control and best price. Jardme Crown Shape Crystal Round earring stud White Cubic Zircon Earring Stud for party, evening Size: Zircon diameter:10mm（close to 4ct） Length:19mm, Width: 14mm , Weight:6.7g METAL: Gold Plated over brass, Stainless Steel Pin Don't turn your ears green. More Antioxidant; Safe Material, Great Piercing Jewelry for Sensitive Skin, Hypoallergenic. Care instruction1.Please try not to touch water and don't wear it when you bathing and swimming. Otherwise, these are all damaged to your jewelry, and will affect its gloss. 2.Frequent cleaning is necessary. Please use a soft brush to wipe the surface of the accessory and remove its surface stains. 3.Keep your jewelry in a small plastic baggie. 4.Please do not touch with chemicals; otherwise, it will erode your jewelry. 5.Please note that all photos have been zoomed in to provide as much detail as possible so please check the measurements described above. 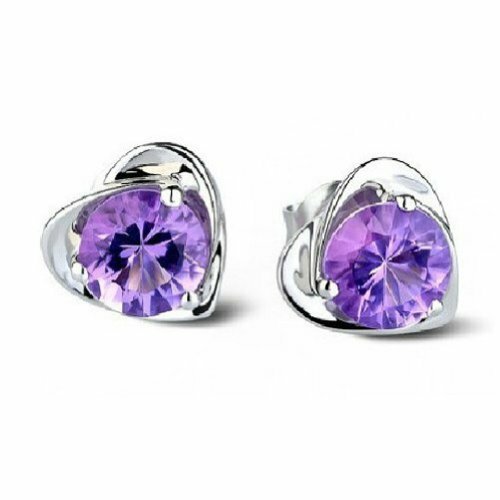 Package Includes: Earrings with gift box.Responsive customer service, please contact us for any problems and we will try to help you all the time and response within 24h! 1. These stud earrings set are made of copper, all of them passed the precious metal test. Economical jewelry set for men and women. 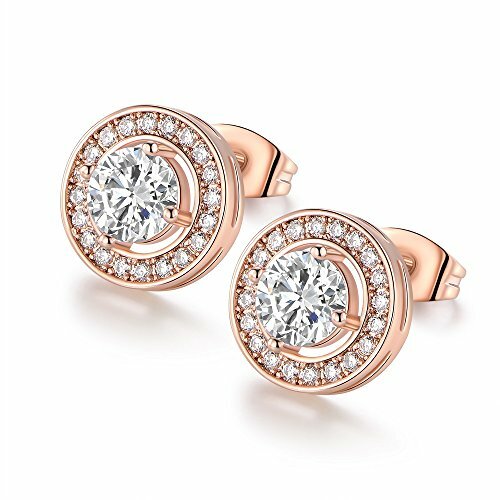 Never outmoded design, diamond earrings is elegant and stylish, you will never regret for this choice. The earrings skin test grants allergy free, nickel-free and lead-free, wear it rest assured. TIPS: 1.Rub your earrings with baby wipes: they perform miracles on jewelry. 2.Then rub with a clean dry soft cotton cloth to bring back the shine. 3.Put it inside a soft cloth pocket or fabric swath, avoid it from rubbing against other jewelry. 4.To better maintain your earrings, please take it off when you swim, take a shower, or other action involved in water. About Cubic Zirconia Cubic Zirconia is a stone so optically close to diamond that most jewelers cannot tell the difference between a CZ and a diamond with the naked eye. The man-made stone is virtually flawless whereas most diamonds have internal inclusions or external blemishes. It is a high quality synthetic gemstone which imitates the appearance of diamonds. Cubic zirconia is zirconium oxide (ZrO2), a mineral that is extremely rare in nature. Synthesized CZ is much less expensive than diamond, optically flawless and can be created in a variety of different colors. Earrings Come With A Surgical Steel Post. 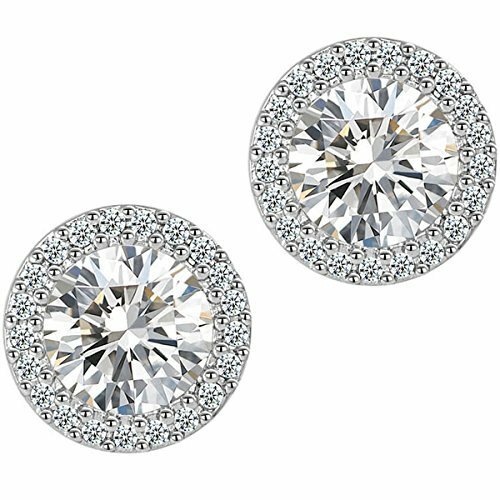 About CZ Jewelry Stud Earrings 1.Main Stone: Shimmering Cubic Zirconias ( 1pc 6mm round CZ stand up + 20pcs small shimmering CZ halo ). 2. 18K Rose-Gold Plated.3. 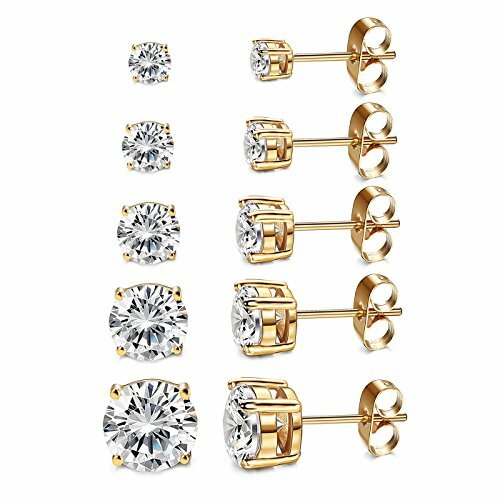 CZ Stone Stud Earrings, Post with Friction Backs.4. Earrings Jewelry Weight: 3.01 gram/pair.5. Earrings packed in a very beautiful giftbox.. Jewelry maintenance and Precautions 1. Please avoid chemicals,cosmetics,wine,acid and alkali. 2. Don't expose your jewelry under strong sunlight or high temperature to avoid metal or stone color fade. 3. Please take it off when taking shower, and taking excising.4. Use a jewelry pouch to store your more important pieces, or set aside a section of your jewelry case Foam settings and soft cloths can make a big difference in keeping pieces from rubbing up against each other.If you have any inquiry / confusion about our items or services, please feel free to email us. We will do our best to give you a satisfactory reply within 24 hours. 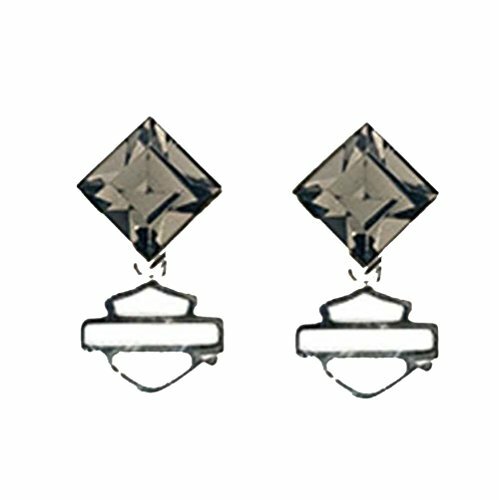 Harley-Davidson® Women's Black Ice diamond shape crystal earrings. These earrings are hand-crafted with the highest attention to detail and quality, utilizing the finest materials. Features Black Ice crystal with a silhouette Bar & Shield dangle. Sterling sliver earrings. 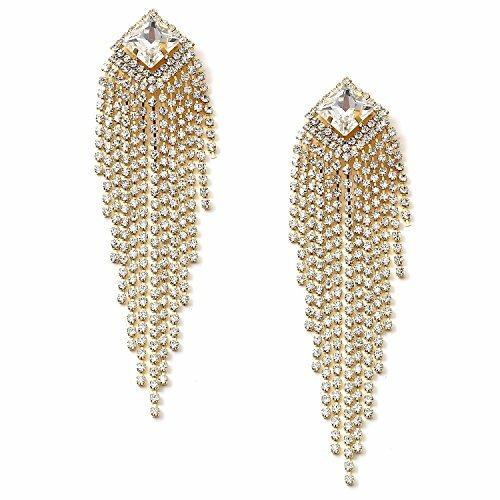 These earrings are so stunning and sophisticated. They are gold plating dangle earrings. They are for pierced ears. They measure approximately 4.0" long. They are perfect for proms, dance party or any special occasion. 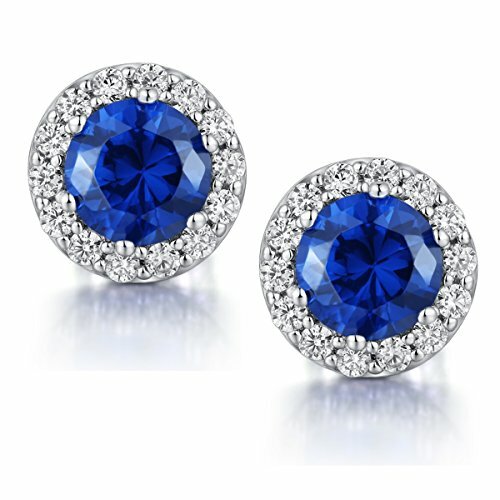 These earrings coordinate with any style or color outfit. Stud Earrings Fashion Jewelry Information: Brand or Collection Name: accessoryanmao Gem Type: Cubic Zirconia Center stone Width: 0.31 inches Total Width: 0.47 inches Total Length: 0.47 inches Package: free gift box packageWarranty We offer a full 1-Year warranty covering manufacturing and material defects for genuine branded Accessoryanmao Fashion Jewelry. We GUARANTEE complete satisfaction on your Accessoryanmao Legacy Collection Fashion Jewelry purchase. Please contact us via email if you have any questions.Other product information: Stainless steel stud earrings,round shape,gift box package. 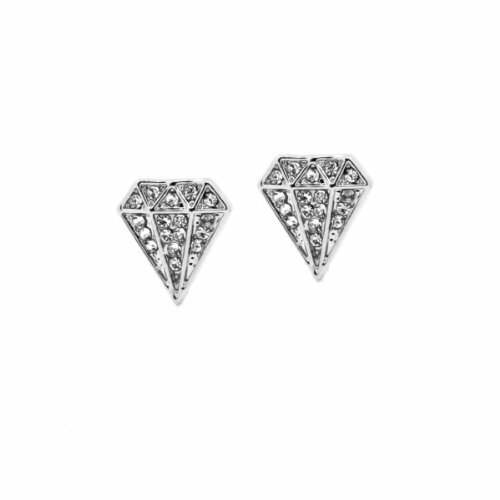 Materials: the stud earrings is made of stainless steel with Cubic Zirconia pronged,by stainless steel ear stud which pretest you from any allergic effect,its hypoallergenic stud earrings. 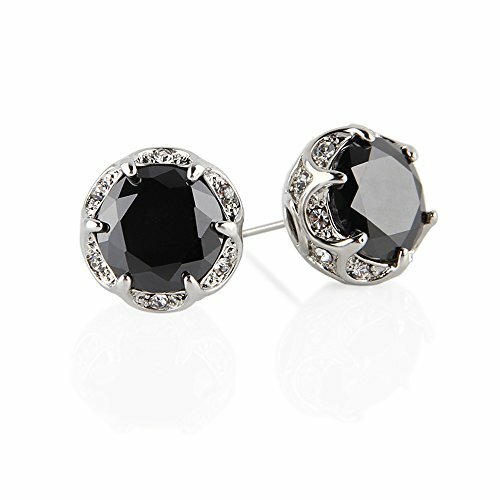 Size:12mm,a perfect stud earrings design for women. Environmentally friendly material round shape stud earrings, Lead-Free & Nickle-Free & cadmium-free, passed Swiss SGS Inspection Standard, no harm to health. Package:a free gift box coming with the earrings. No wrapping needed. Perfect gift for Anniversary Day, Valentines Day and Birthday to your girlfriend, wife and Mother's Day gift for mom. Lady's candy. Your everyday jewelry. 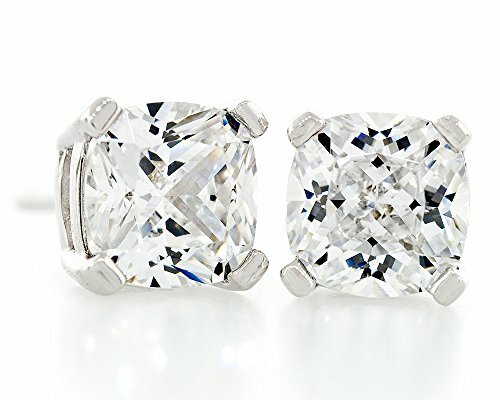 Compare prices on Diamond Shape Crystal Earrings at ShoppinGent.com – use promo codes and coupons for best offers and deals. Start smart buying with ShoppinGent.com right now and choose your golden price on every purchase.